At first glance, it seems Epimetheus is the lone moon orbiting Saturn in this image, but a closer inspection reveals a couple of companions in the rings. 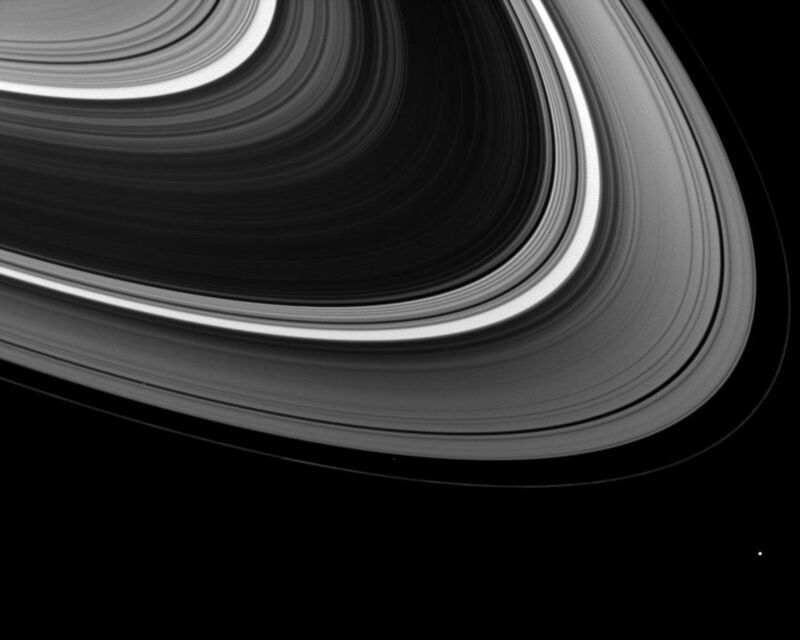 Circling brightly outside the rings in the lower right of the image is Epimetheus (113 kilometers, or 70 miles across). 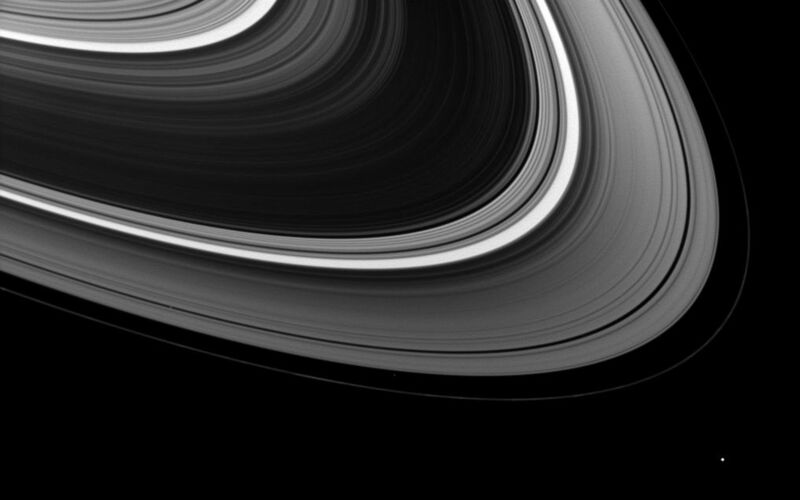 On the left of the image is tiny Pan (28 kilometers, or 17 miles across), a small gray dot cutting through the Encke Gap of the outer A ring. Atlas (30 kilometers, or 19 miles across) is an even fainter dot orbiting between the A ring and the thin F ring in the lower central part of the image. 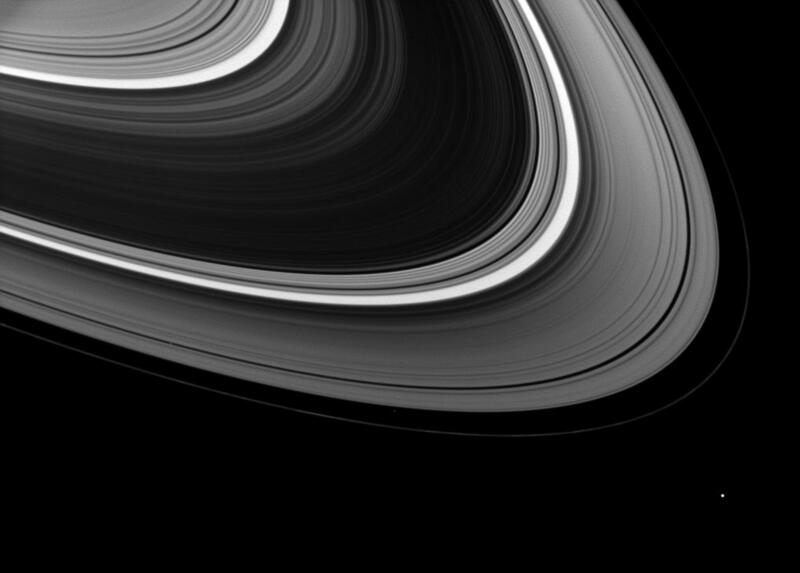 This view looks toward the unilluminated side of the rings from about 16 degrees above the ringplane. The image was taken in visible light with the Cassini spacecraft wide-angle camera on Jan. 20, 2009. The view was acquired at a distance of approximately 1 million kilometers (620,000 miles) from Atlas and at a Sun-Atlas-spacecraft, or phase, angle of 33 degrees. Image scale is 64 kilometers (40 miles) per pixel.